Our brilliant Bears have swept the state academic competitions this spring! We have had a wonderful two weeks of academic competitions, participating in the Texas Christian Schools Interscholastic Tournament (TCSIT) at Abilene Christian University on April 5 – 7 and at the TAPPS Academic/Speech Championship Meet in Waco on April 10 – 11. 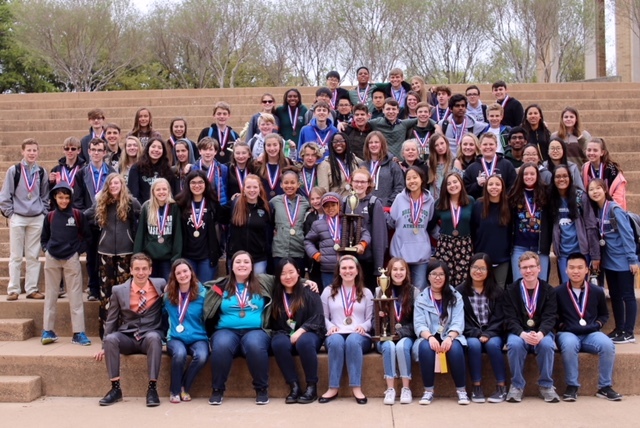 Our brilliant Bears took 1st Place at TCSIT in both middle school and high school sweepstakes and 1st Place at the TAPPS Academic/Speech Championship Meet! This is only the second time ever that BCS has placed 1st in both middle school and high school at TCSIT at the same time. This is the 19th time that BCS High School has taken 1st place at TCSIT, and the 3rd time that the Middle School has taken 1st place. High School earned a record number of sweepstakes points. At TAPPS, our Bears became the 2-time defending state champions! 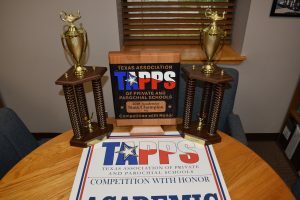 TAPPS is the state academic competition among parochial and private schools throughout Texas. 1st Place Brentwood Christian School 244.66 points!! 1st Place Brentwood Christian School 596 points!! 1st Place Brentwood Christian School 122.5 points!! These incredible results are on the heels of the record-setting results in Math Pentathlon and winning 1st place in the multi-school Forensics Challenge. Join us in congratulating our brilliant Bears, and it is truly a great day to be a Brentwood Bear!